In popular films and TV shows, the future is often depicted with flying cars in the sky. Finally, it seems the future is closer than ever thanks to manufacturers that are ready to start testing flying vehicles. Germany has approved testing for Audi and Airbus, and these companies are busy creating models for air taxis. Germany’s decision to allow flying car tests is an important step for the automotive industry. Many government regulations prevent these types of tests in other countries. By making it possible for Audi and Airbus to experiment with air taxis, Germany is helping the entire industry move forward. Testing will happen near Ingolstadt, which is a city in Bavaria, Germany. Ingolstadt is also the hometown of Audi and its biggest production site. The plant has 44,000 employees and has built about 538,000 cars since the end of 2017. Audi plans to experiment with air taxis that resemble small helicopters or flying drones. Audi has shared its goal of helping reduce traffic congestion by creating air taxis for passengers. Andreas Scheuer, who is the Federal Minister of Transport and Digital Infrastructure in Germany, told Automotive News that he believes flying cars will improve mobility. He also sees the technology as an opportunity for startups and other companies. In addition to reducing traffic congestion, air taxis may also help decrease pollution in major urban areas, and provide a faster, more efficient way for people to travel. Audi, Airbus, and Italdesign have already started testing a flying taxi concept car. The machine features a self-driving vehicle with a flying drone. First, the flying drone carries a passenger inside a capsule to a location. Then the self-driving car moves under the drone. The passenger capsule lands and attaches on top, and the car drives the passenger to the final destination. The entire process is autonomous. Airbus has also created the CityAirbus, which it plans to test in Donauworth, Germany. 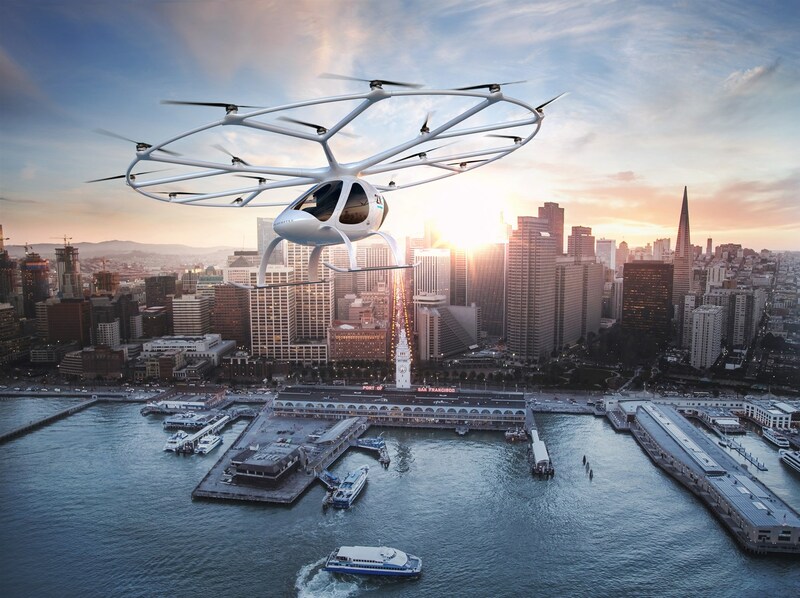 The CityAirbus is another flying taxi that resembles a small helicopter or large drone. Because Airbus is interested in making vehicles that don’t require pilots, it will be autonomous. The current model is able to travel three-times faster than the average car on the road. Airbus plans to start with shorts tests and build up to longer flights over time. Industry experts believe that getting autonomous vehicles in the sky may happen faster than self-driving cars on the road. Although there are government and flight regulations to consider, current airplanes already rely on autopilot technology. There are also fewer obstacles to creating a flying vehicle compared to a self-driving one; a driver doesn’t have to worry about oncoming traffic, pedestrians, or physical barriers in the sky. Radar and other advanced technology can help drivers avoid other flying vehicles and planes. The risk of collisions is lower in the sky. Nevertheless, the industry isn’t likely to start mass production of flying cars tomorrow. And in the states, U.S. Federal Aviation Administration would have to approve autonomous flying vehicles and change regulations before they could be made and sold. It may take five to 10 years or longer until you can grab a ride on a flying car to your next appointment. Previous What Happens to a Car in a Fire?